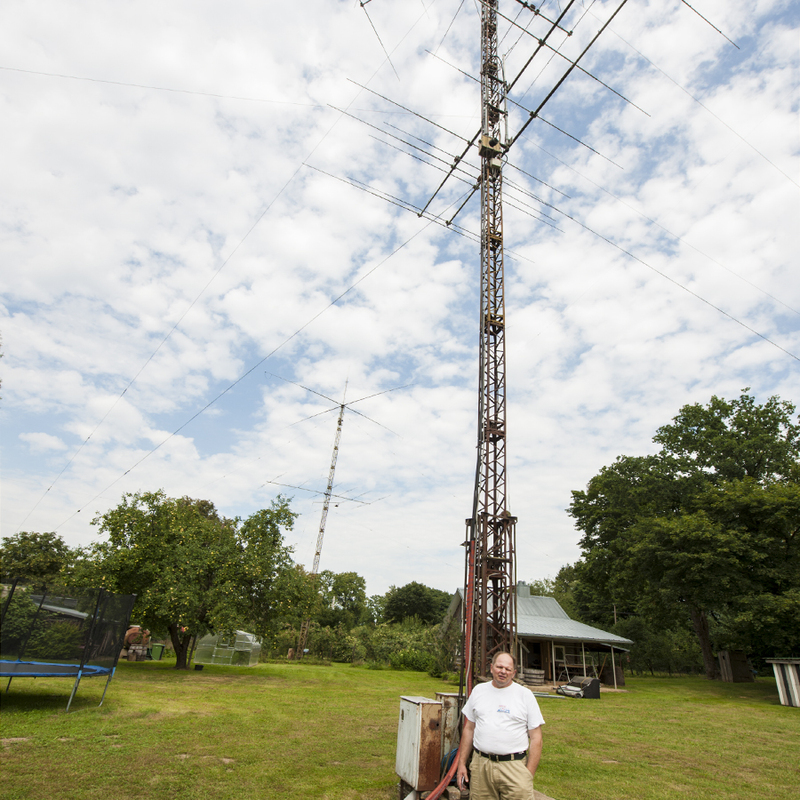 The radiosport has become a very specialised branch of Amateur Radio. 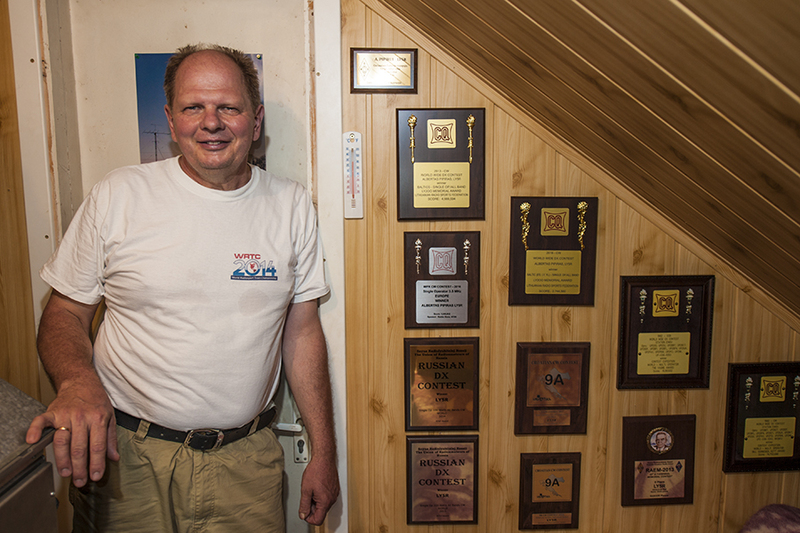 A contest radio operator is most often gifted in rather narrow capabilities. Sometime, a telegraphy wizard is slow in voice mode. Very often good operators are non-technical and clumsy with hardware, but very swift at the keyboard. Consequently, many prodigy operators usually are allowed to use installations built by technical experts. 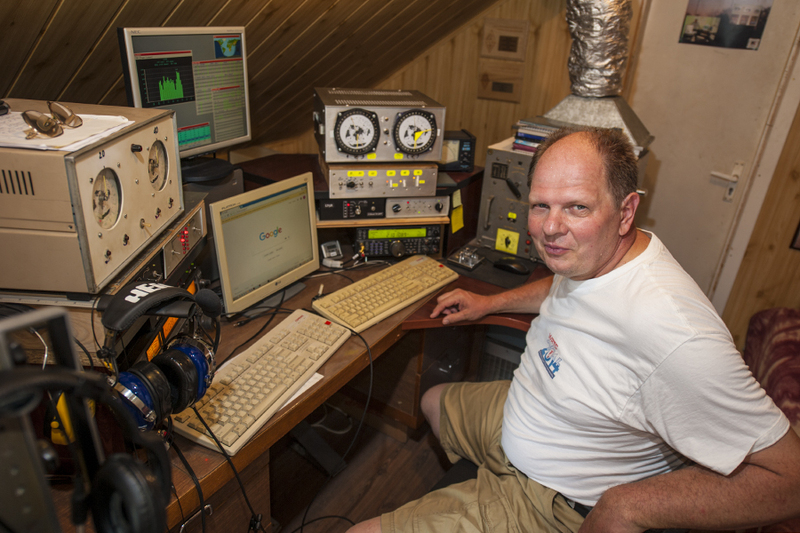 Albertas, LY5R, is both a very competent engineer and an excellent operator, but at the age of 60 he is slowing down on radiosport. In recent years he has hosted Gediminas, LY9A, during major contests. Gediminas qualified for WRTC2018 based on his results made from Albertas' station in north eastern part of Lithuania. I tried to get in touch with Gediminas, who lives in the same part of the country, but without luck. However, when I phoned Albertas, LY5R, right after the LY Hamfest 2018, he did not mind meeting me. 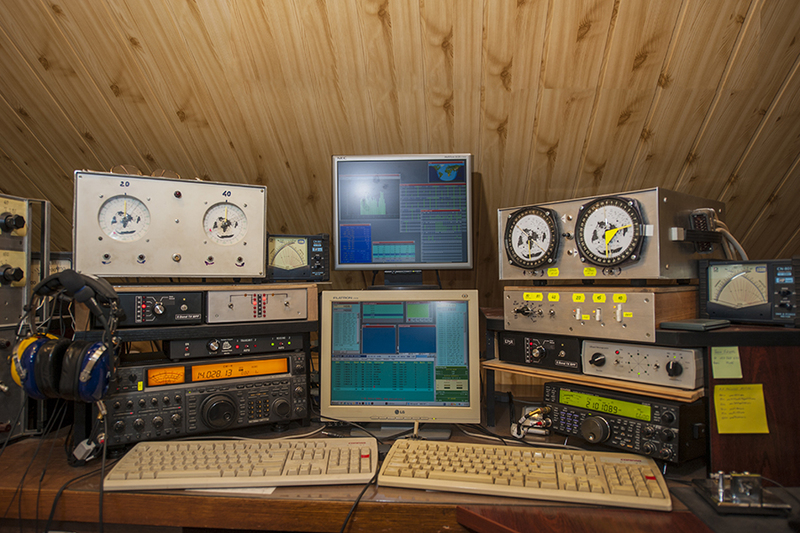 This is the setup at LY5R, configured for Single Operator 2 Radios, very neat and inexpensive. All antenna controls and switching hardware is designed and built by Albertas. It was here the winner of WRTC2018, Gediminas, LY9A, accumulated contest scores that let him take part in the event. He started his WRTC quest in Slovenia in year 2000, came back in Moscow in 2010 and Boston in 2014. 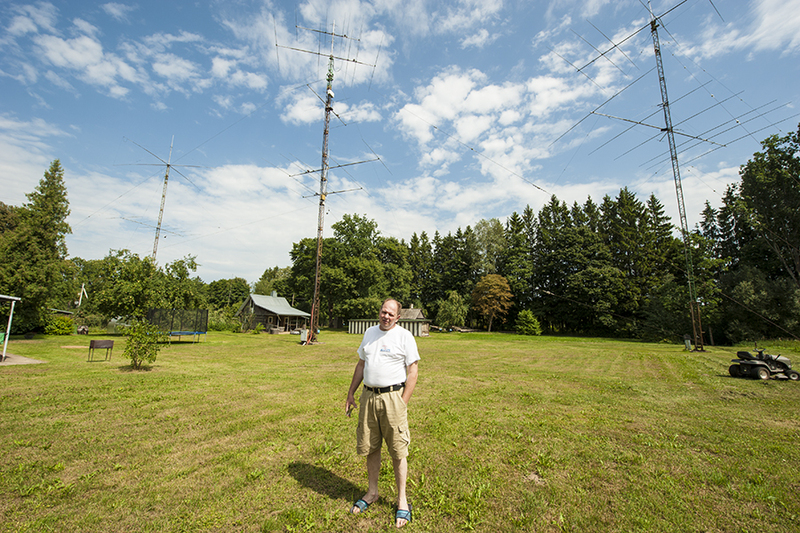 The antennas farm at LY5R is large, but not monster sized. The entire installation is carried out by Albertas. 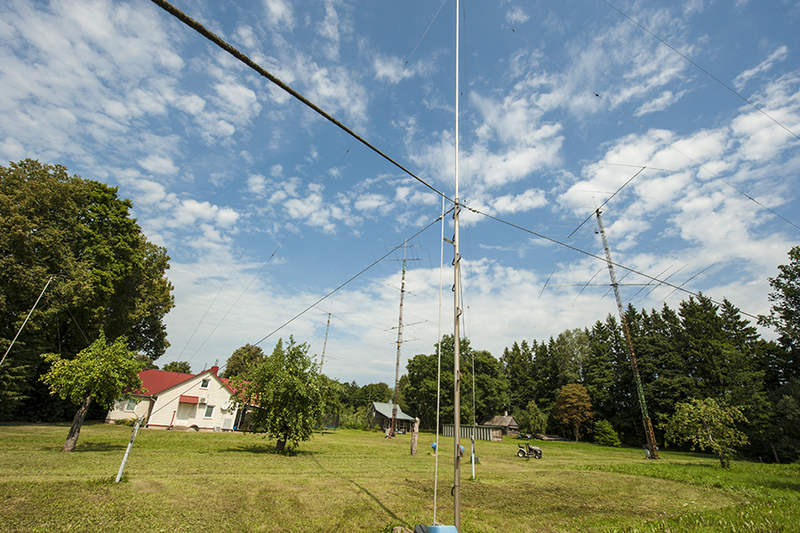 The farthest tower supports a rotary directional antenna for 40 meters based on a cross, the same kind of antenna I saw at the LY7A club in Kaunas. Albertas attended the Kaunas Polytechnic and was a very active member of the club. 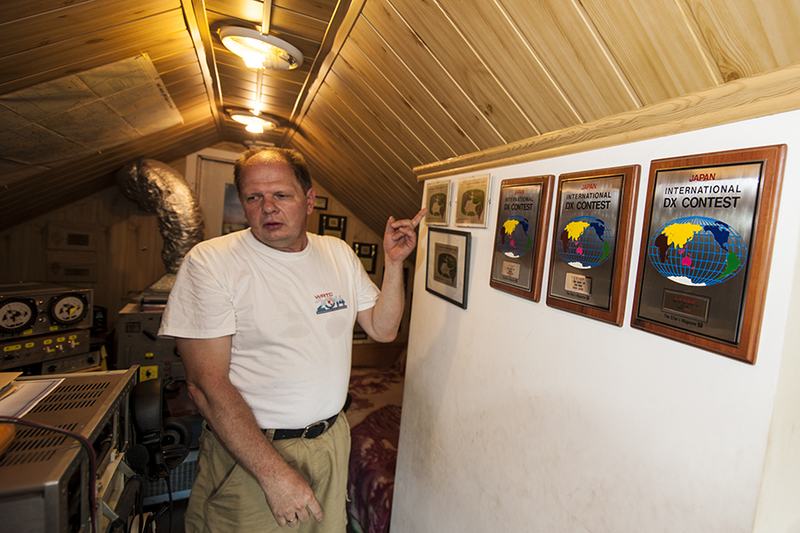 Albertas, LY5R, in the attic of his house with some contest plaques on the wall. Some of them are quite old, from the time when he was younger. The t-shirt with WRTC2014 logo was given to him by Gediminas - Albertas never participated in any WRTC, but is partly responsible for the Lithuanian success this year (2018). The operator and the constructor - Albertas, LY5R. Albertas, LY5R, lives on the outskirts of a small town, actually in the countryside. – I think it is gratifying when I can help others with what I have put together here during the years. Maintaining a radio station like is very time-consuming and it makes me happy when a talented operator can use it and reveal his skills. Time to say good bye and see you on the air. I am also preparing to reduce an antenna farm, but I lack antenna data and hope to provide help.